This Elitis linen cushion is a classic design from the Parisian french design house. Introducing the Crossway linen cushion. 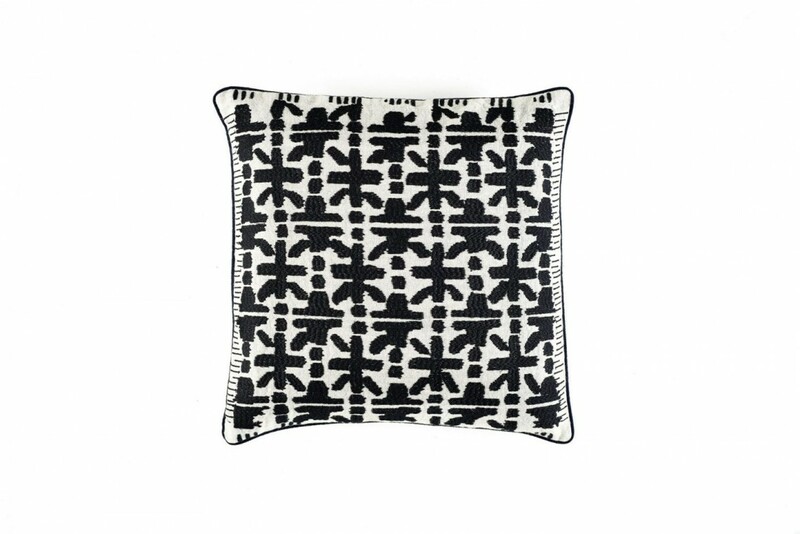 This Elitis cushion is made from stone washed linen with embroidered inset border in an inky contrast thread. Supplied with a washed cotton sheer lining, concealed zipper and feather & polyester pad. For more black and white inspiration see our feature here.